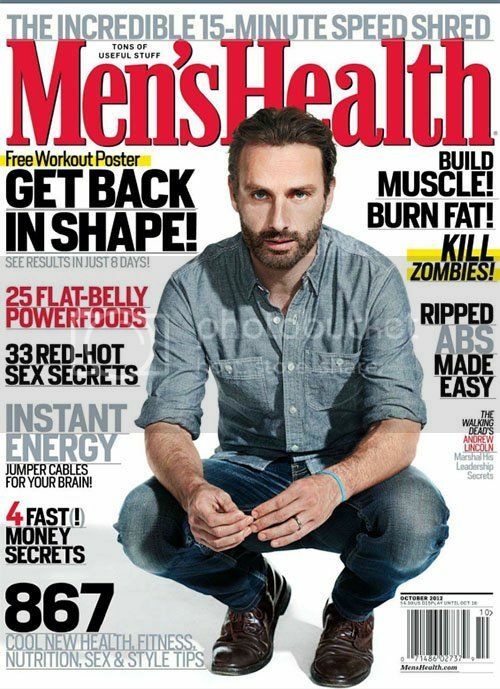 Andrew Lincoln is gracing the cover of Men’s Health October 2012 issue. Known as Rick Grimes in the popular TV hit series of “The Walking Dead” , this guy is the most calmed, kind and strong man among the survivors to fight with the walkers known as zombies. Its Season 3 will premiere on October 14th (Can’t wait for this to be aired) so if you want to be save just hang with him, lol! Andrew Lincoln, 39 years old went for an all denim look with Levi's bottoms, a J Crew top and Alden boots for the Ture Lillegraven shot front page. 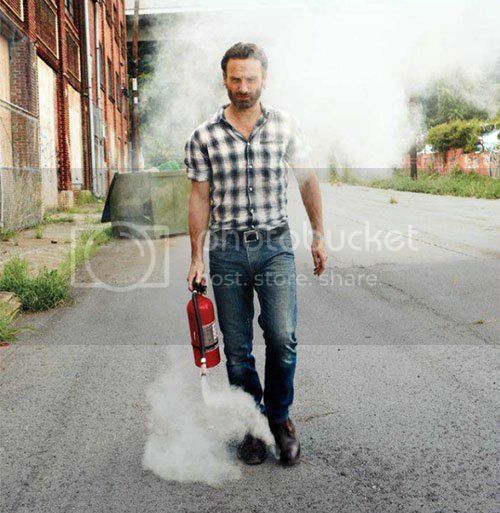 In the interview with the Men’s Health Magazine Andrew Lincoln revealed how he stays fit: "It's about being able to do stuff. On Friday I did an 18-hour day, including travel. I was up at quarter to six in the morning and got home at half past midnight. The day before we'd been outdoors all day. It was 90 to 95, and the humidity was up. So I don't need a trainer. I've got a zombie apocalypse to keep me fit." Running Dead has been so popular lately so it's an excellent move to have one of the shows character to be a cover of the magazine.